Determined freelance reporter Jacinta Deller attempts to profit on one of her partner’s acquaintanceships for a story, but instead stirs up the past and puts herself and her new friends in danger. 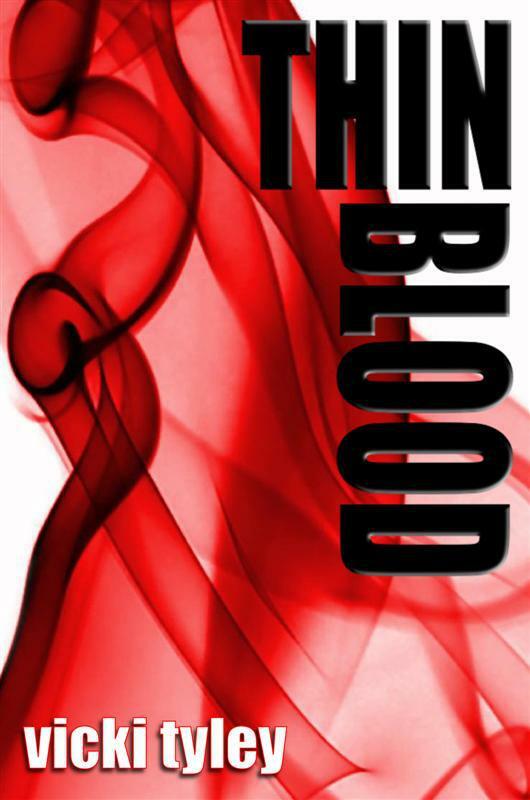 Thin Blood is a crime mystery with an investigative journalist at the helm and although this isn’t exactly unique, our heroine isn’t quite the stereotype. The story feels like a line of dominoes where our protagonist is responsible only for the first that fell. Otherwise, she feels like a character almost accidentally participating in a police investigation revived by her pursuit of an old murder mystery. I found the story to be quite interesting as our main character befriends Narelle, a colleague of her partner and the wife of a man suspected of murdering his previous wife Kirsty some years back. In a twist, Narelle and Kirsty were sisters – and the tangles don’t end there. As the story progresses, we are exposed slowly to the various inter-relationships that existed at the time of the crime, giving the reader plenty of scope along with Jacinta Deller to assign suspicion. At the same time, we are taken into Deller’s past, a past that decides to make a reappearance during the story adding an extra dimension of interest. I personally found Jacinta Deller a bit difficult to enjoy as a character. She seemed rather shallow with only pretences of depth or insight, and I felt there was a lack of realism in how she approached her ever more compromising position. Perhaps this is why the author chose to unravel the mystery around her or in her presence rather than write her as sleuth. She was as likely to further disrupt than to solve anything. Her eventual ties to the main investigator of the case only lent a less realistic cast to the story as she bartered for more involvement than she deserved. As much as the main character provided issues for me, as a device she certainly assisted in the story moving forward, a story with remains buried in the woods, anonymous tips, jealous and unhinged ex-lovers and a strained relationship between Deller and Narelle. Meanwhile, Narelle provided a more interesting character for me. Her fragility, unpredictable actions and conversations didn’t seem too unlikely to me, but they also helped put the “who” in “whodunnit” for this story. Her husband, Craig, also maintained my interest. To me, he really did come across as believable: his desire to lock himself and his wife away from the world and his descent into alcoholism when the past resurfaces. Even Grace, deranged best friend of Kirsty, was entertaining in her actions to exact revenge on Narelle and Craig. The writing itself leaves little to criticise. It lacks both clumsiness and errors which made the reading a pleasure rather than a chore. I never cease to be grateful to independent authors who have taken great pains to put out an error-free product. There’s little waste of words and the smaller chapters aid digestion and help to give the illusion of pace. Overall, I liked Thin Blood. My biggest issue was unfortunately with the main character – her role in the story and her unrealistic (to me) personality. But she did not stop me from enjoying the mystery and the revelation. Additionally, others may not find her portrayal or involvement as problematic as I did. This entry was posted in 3.5, Mystery, Novel, Reviews and tagged Crime, Mystery. Bookmark the permalink. Many thanks for such a thoughtful and comprehensive review, Caleb.